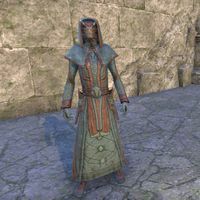 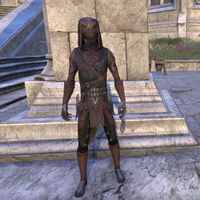 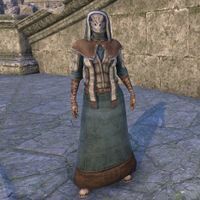 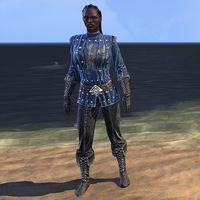 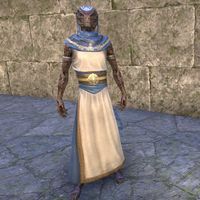 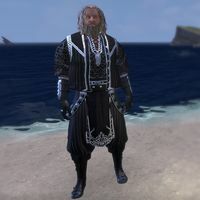 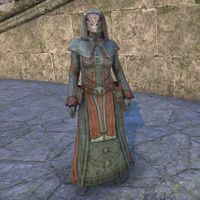 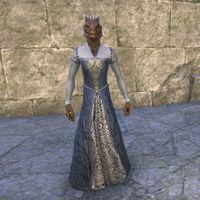 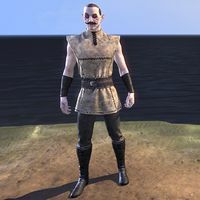 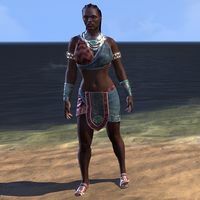 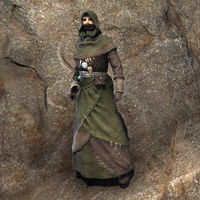 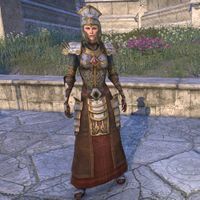 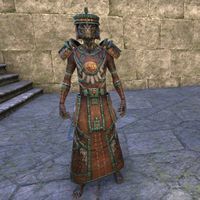 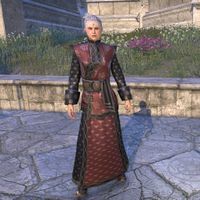 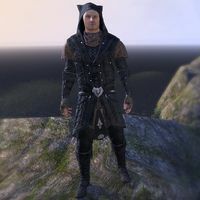 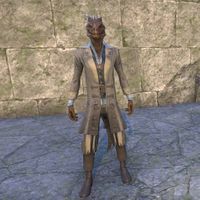 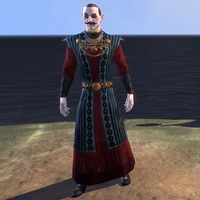 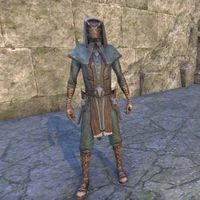 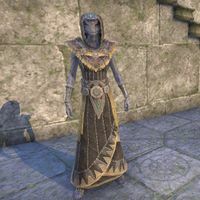 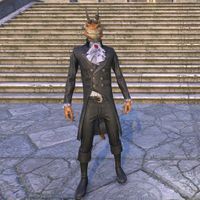 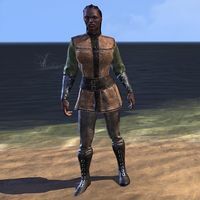 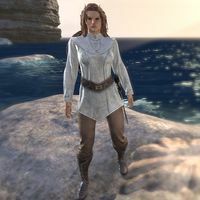 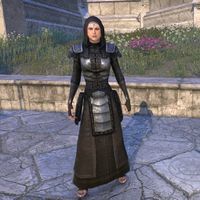 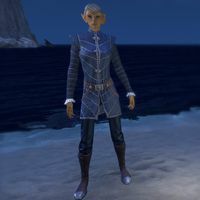 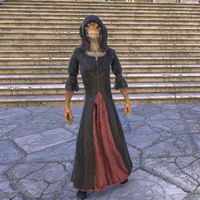 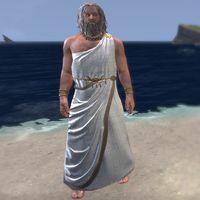 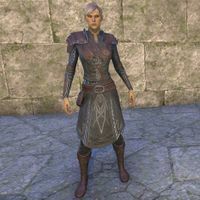 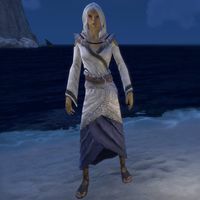 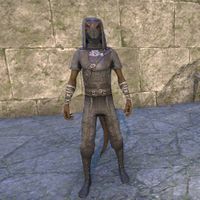 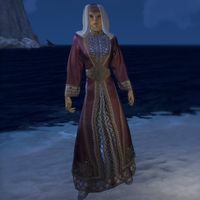 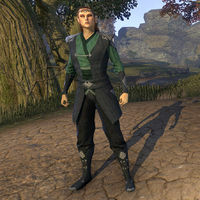 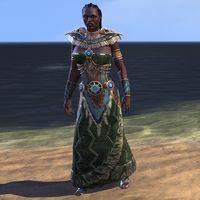 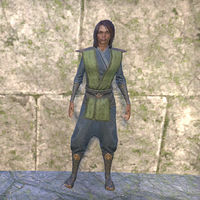 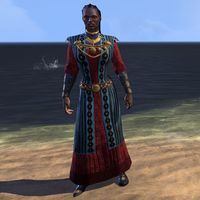 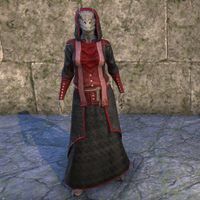 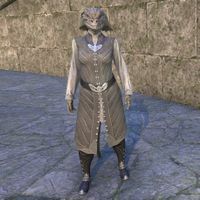 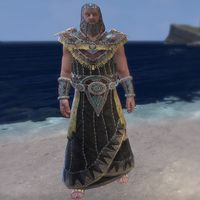 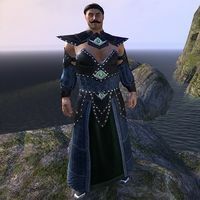 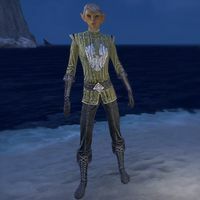 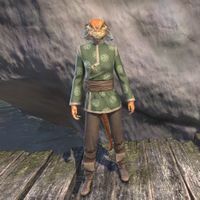 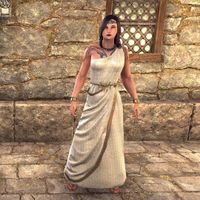 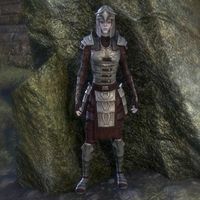 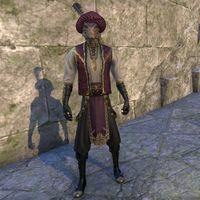 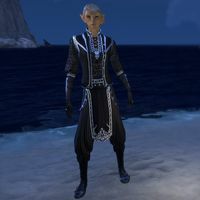 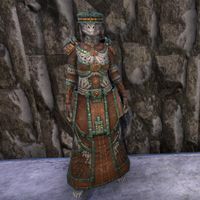 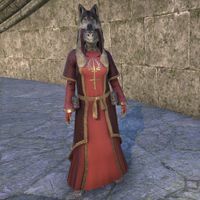 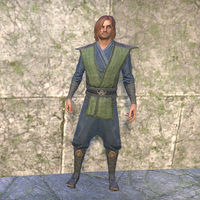 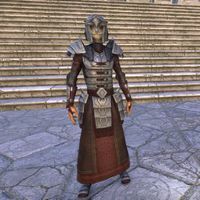 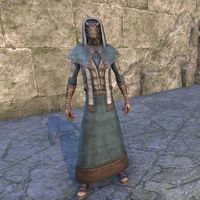 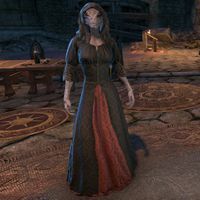 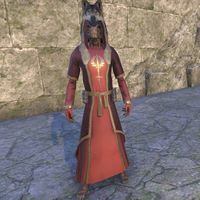 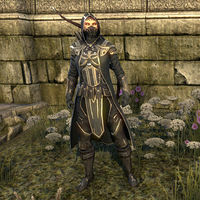 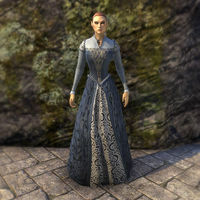 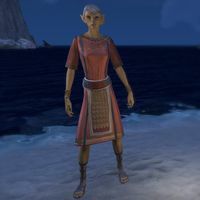 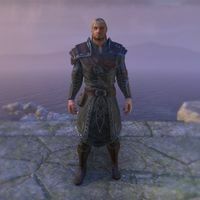 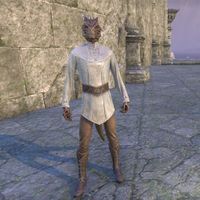 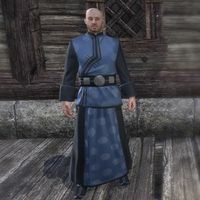 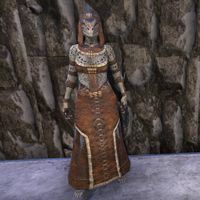 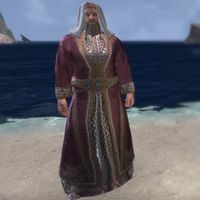 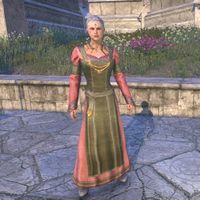 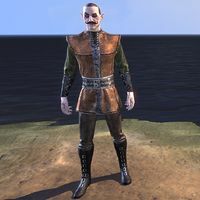 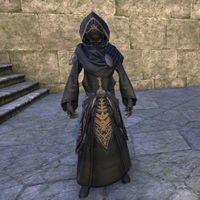 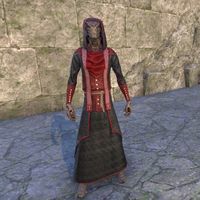 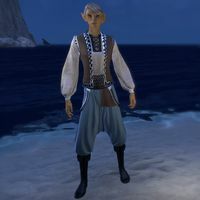 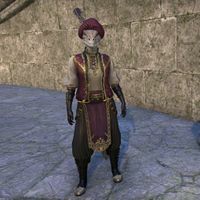 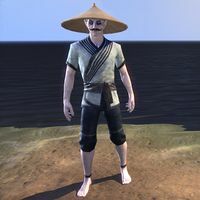 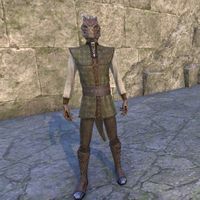 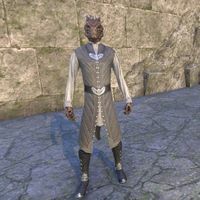 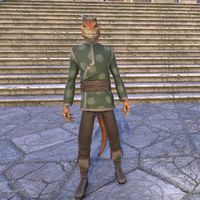 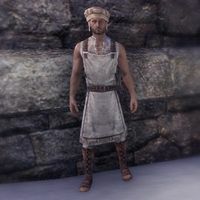 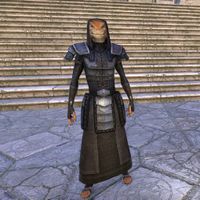 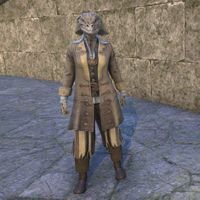 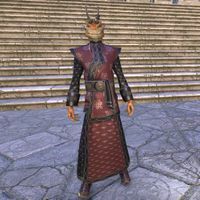 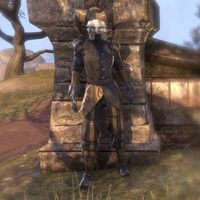 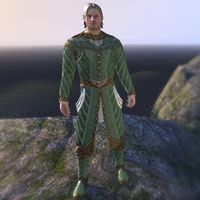 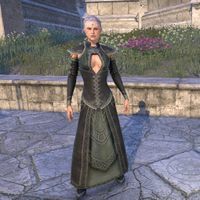 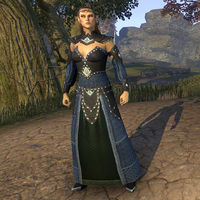 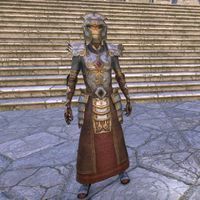 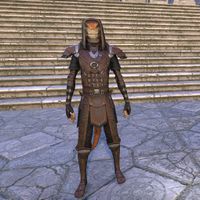 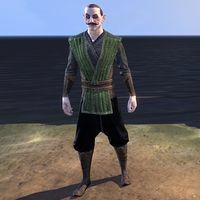 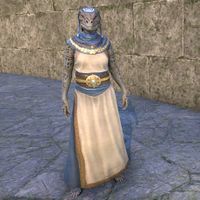 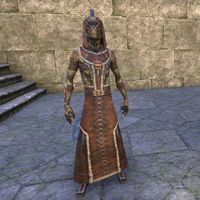 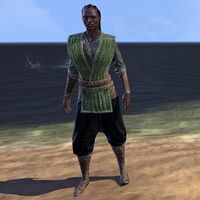 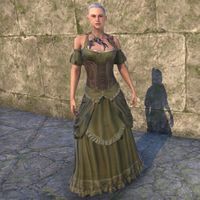 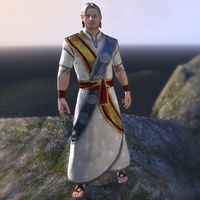 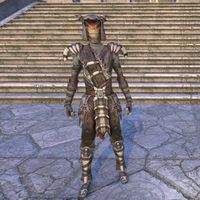 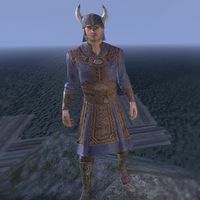 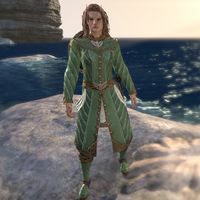 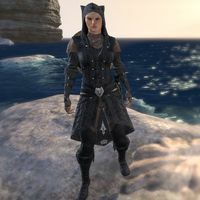 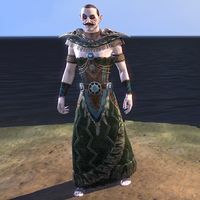 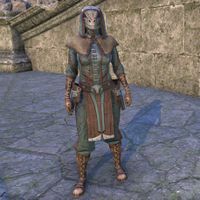 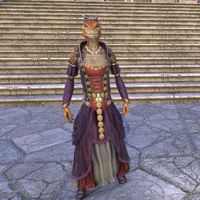 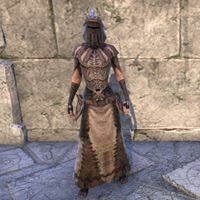 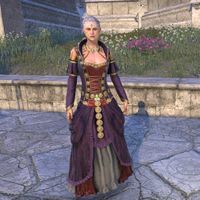 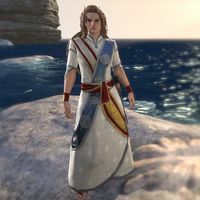 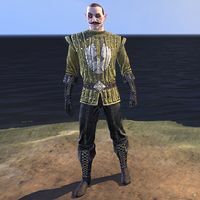 Inspired by the majestic and imposing attire of the Imperial Elder Council, this tunic and sash ensemble by Diocletia of Skingrad is suitable for high-profile occasions from the formal to the celebratory. 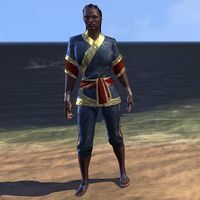 Show off the proud heritage of the Empire! 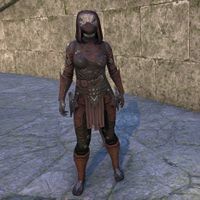 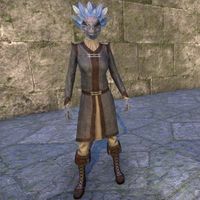 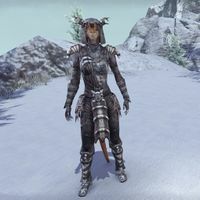 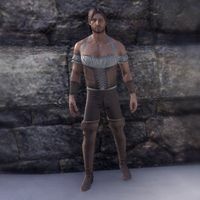 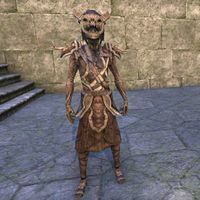 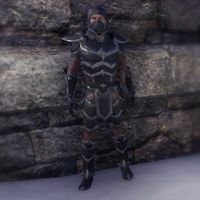 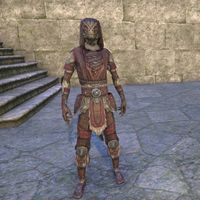 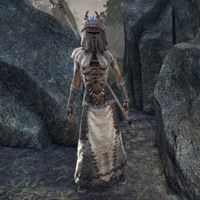 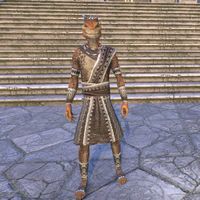 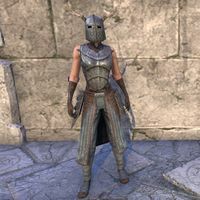 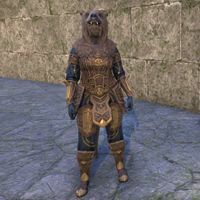 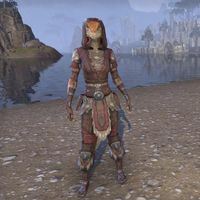 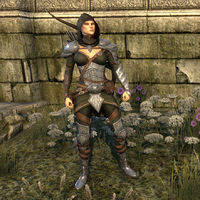 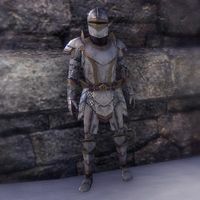 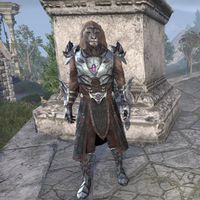 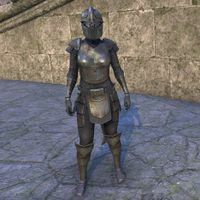 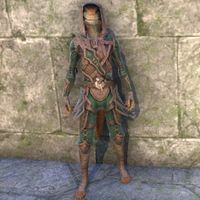 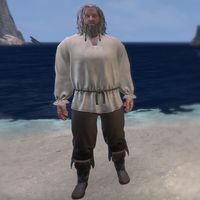 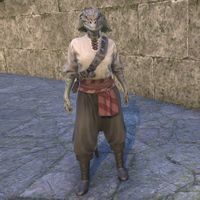 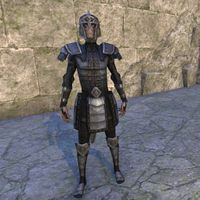 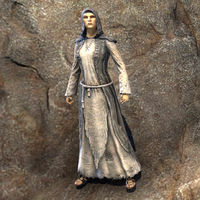 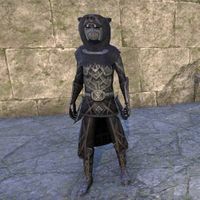 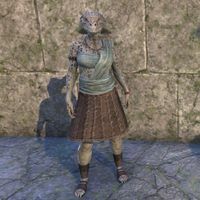 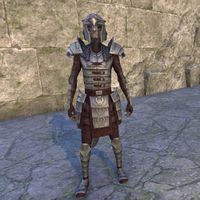 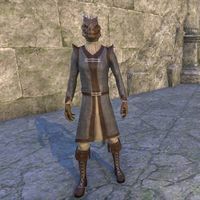 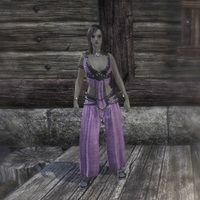 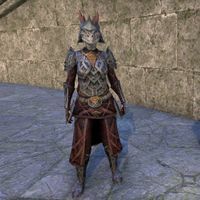 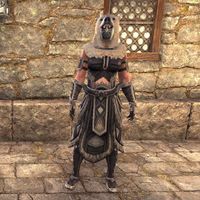 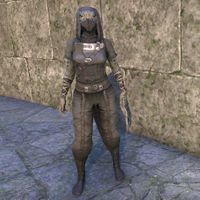 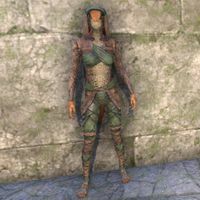 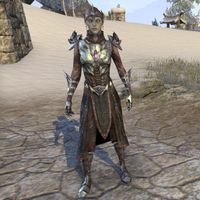 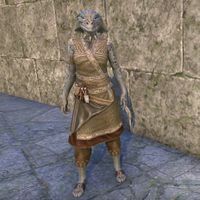 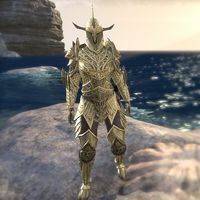 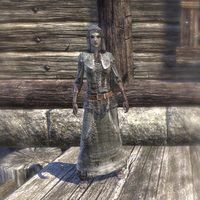 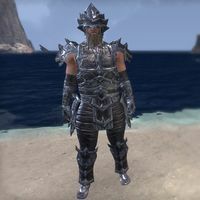 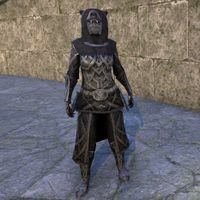 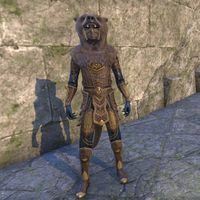 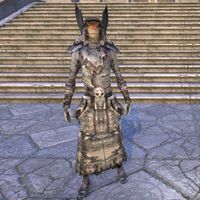 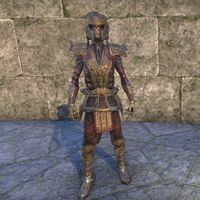 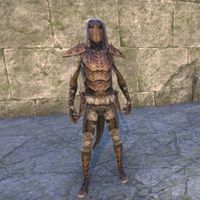 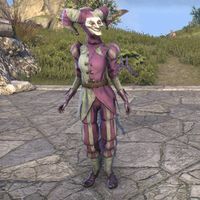 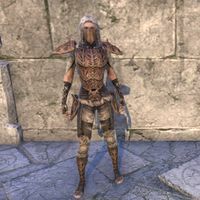 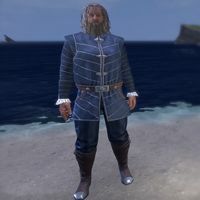 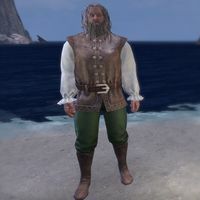 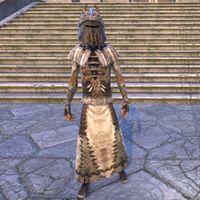 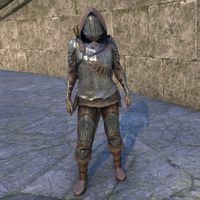 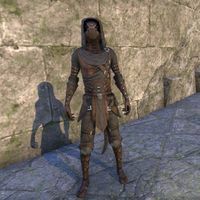 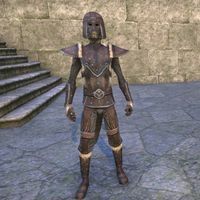 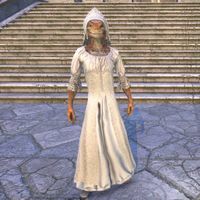 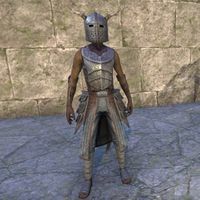 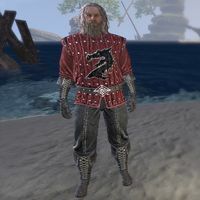 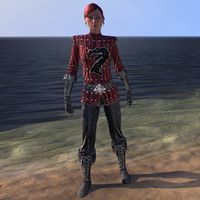 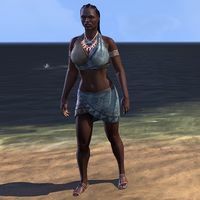 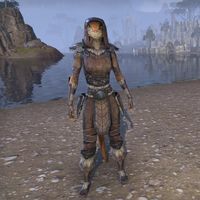 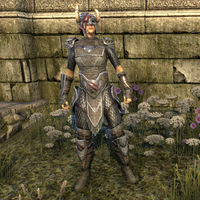 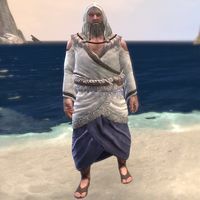 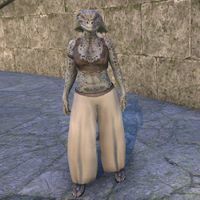 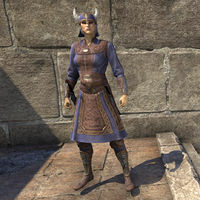 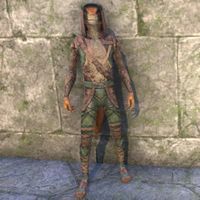 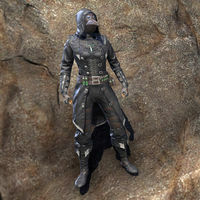 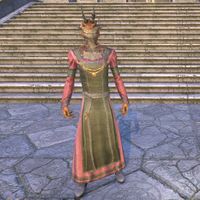 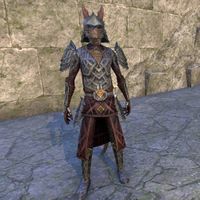 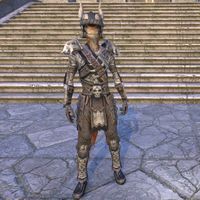 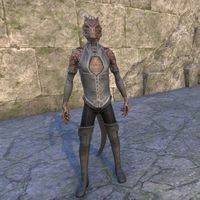 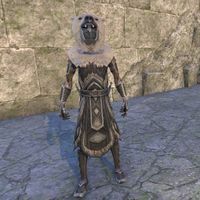 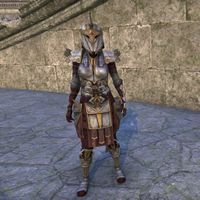 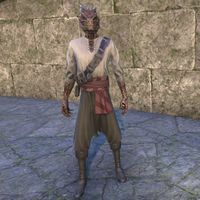 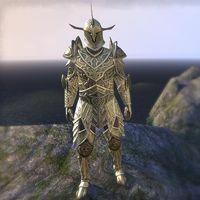 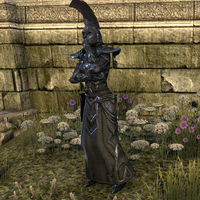 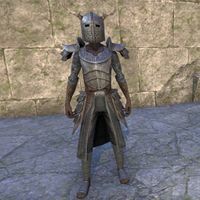 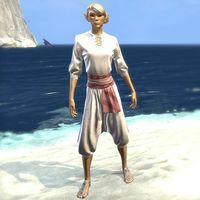 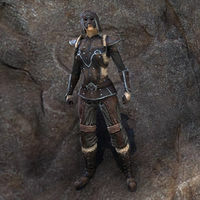 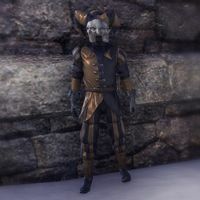 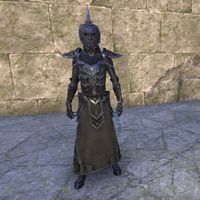 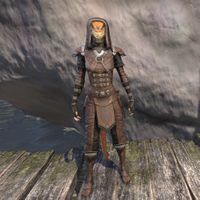 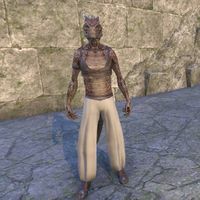 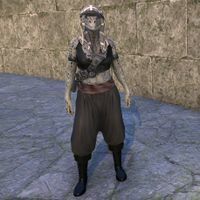 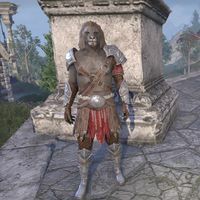 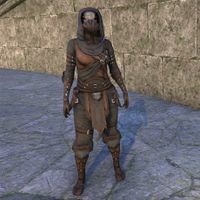 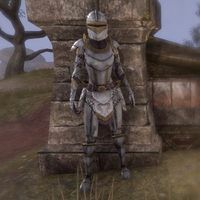 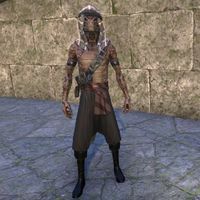 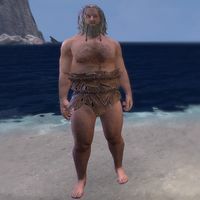 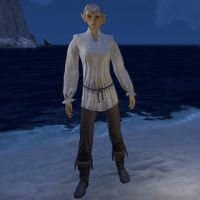 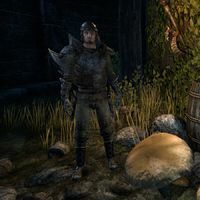 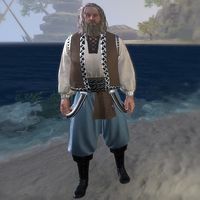 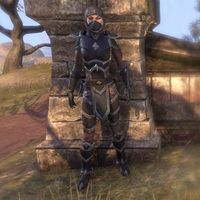 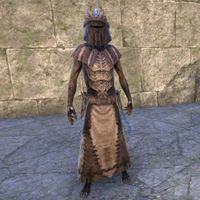 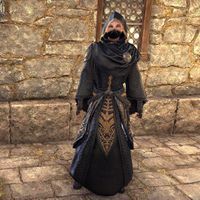 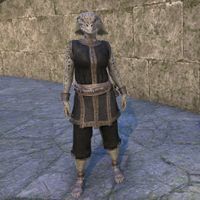 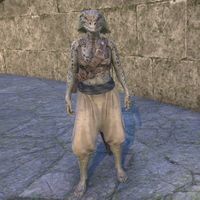 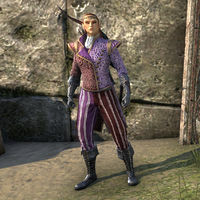 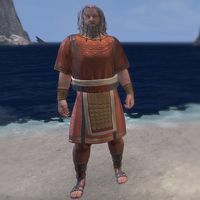 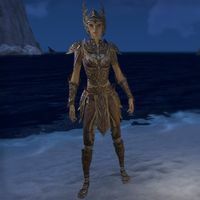 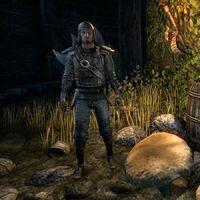 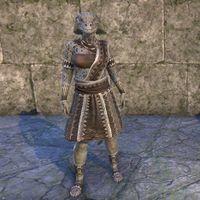 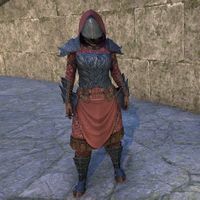 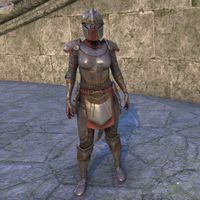 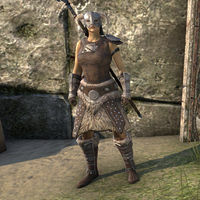 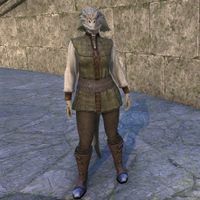 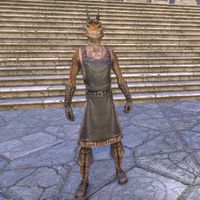 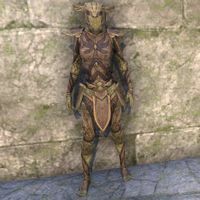 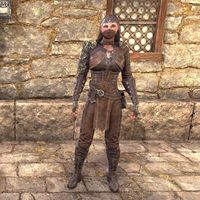 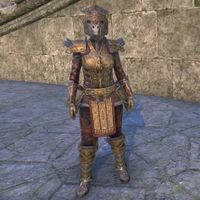 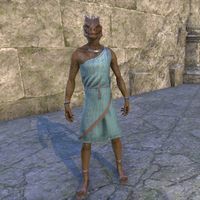 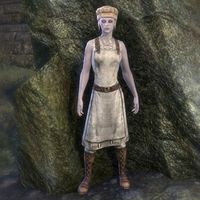 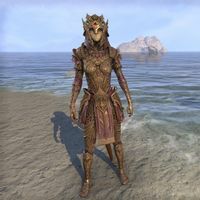 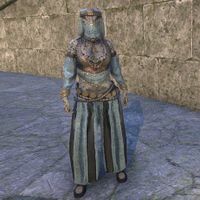 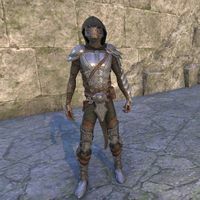 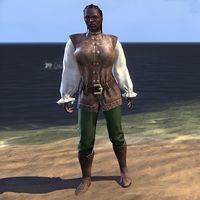 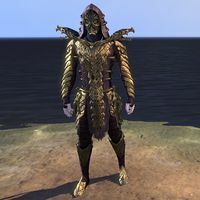 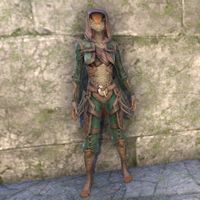 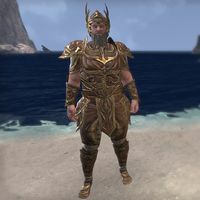 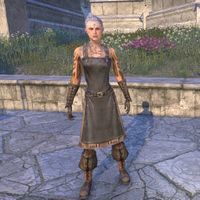 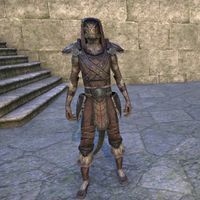 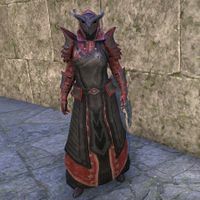 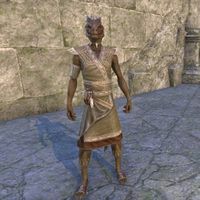 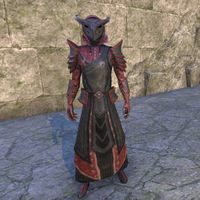 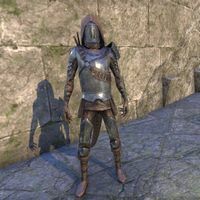 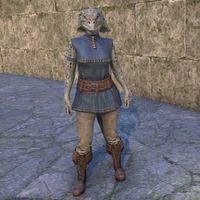 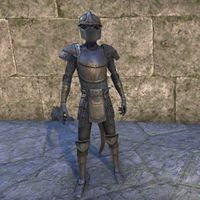 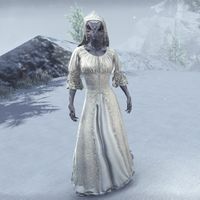 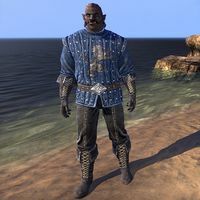 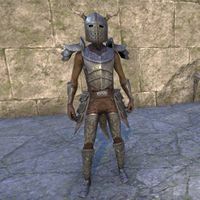 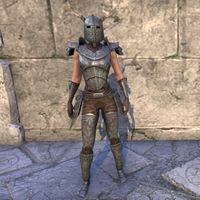 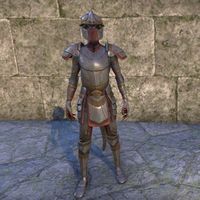 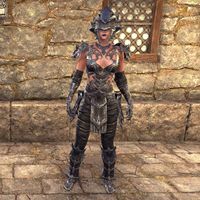 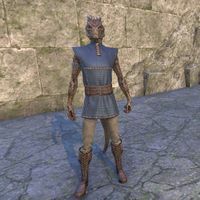 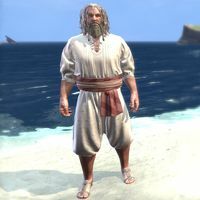 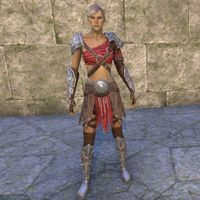 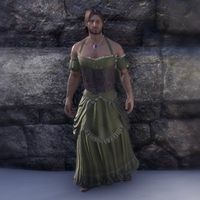 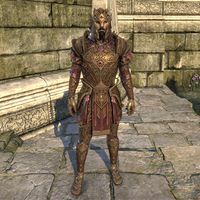 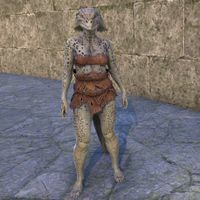 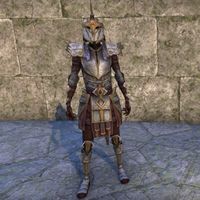 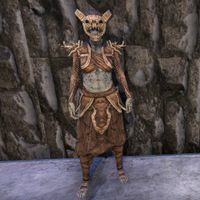 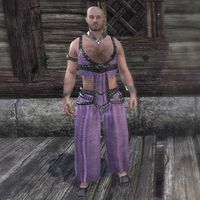 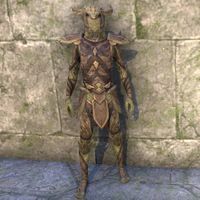 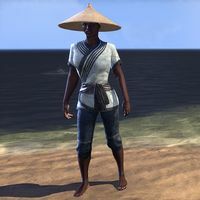 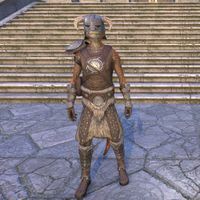 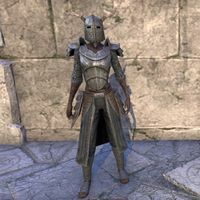 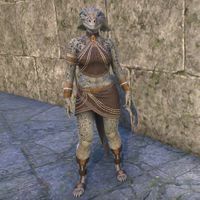 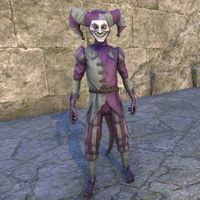 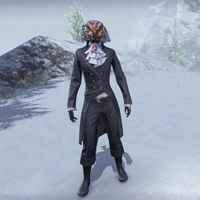 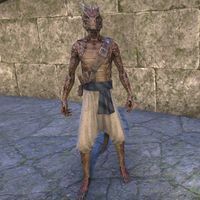 Sold in the Crown Store for 020002,000 from April 7 to April 11 2016 and from April 4 to April 11 2019; also available as a Legendary-level reward in Dwarven Crown Crates. 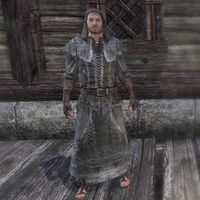 "Durable, flexible, mudproof, and stylish," says the latest missive from designer Jaxa the Hermit delivered by his mute daughter. 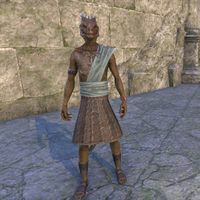 "What more could a Saxhleel want from a Crocskin Overkilt? 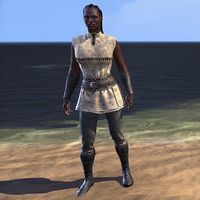 Glowing torchbug buttons? 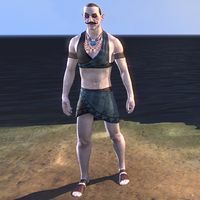 Actually, that's not a bad idea...."
"The thousands of small shiny particles that decorate the Treethane's Mosaic Jerkin may appear at first glance to be of turquoise or other precious stones, but they are actually the iridescent carapaces of deep forest beetles." 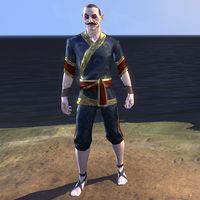 This page was last modified on 6 April 2019, at 15:04.